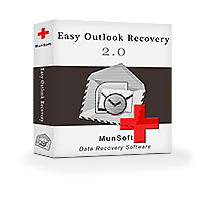 Easy Outlook Recovery gives a chance to repair Microsoft Outlook messages, attached files and contacts with comfort and, as the name suggests, great ease. It’s a simply designed program with complicated algorithms in the core, which allow searching for files all over the storage device, discovering and repairing all, even the most drastically damaged ones. 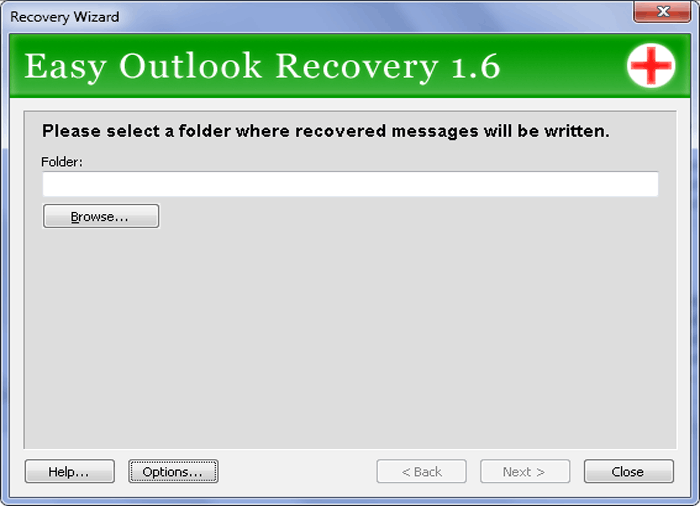 It supports recovery of deleted or damaged PST files. If the storage device is formatted, has just been under a virus attack, has survived the operating system reinstallation or the drive has just stopped working for no obvious reason, the program can deal with email databases that are stuck on the drive. Even if they were damaged and the repair tool that’s built in Outlook doesn’t help, the program can save the day. It works on Windows operating systems, fully supports Unicode, works with PST databases that can be imported into Outlook after the recovery. The built-in preview is made specially for everyone to have a sneak peek of what can actually be recovered and decide whether the program suits the needs. The pictures, tables and other kinds of attachments can be previewed as well. As easy as it looks, using the program is indeed simple. The Recovery Wizard goes through the whole recovery process, pointing at the things that must be done (selecting the path for the recovered files, for example) and no reading of manuals is involved. The help file is available nonetheless and online help is always located on the web site. Outlook repair is performed quickly but the larger the drive is, the longer the search takes but in the end the program recovers maximum possible data that can be recovered at all. 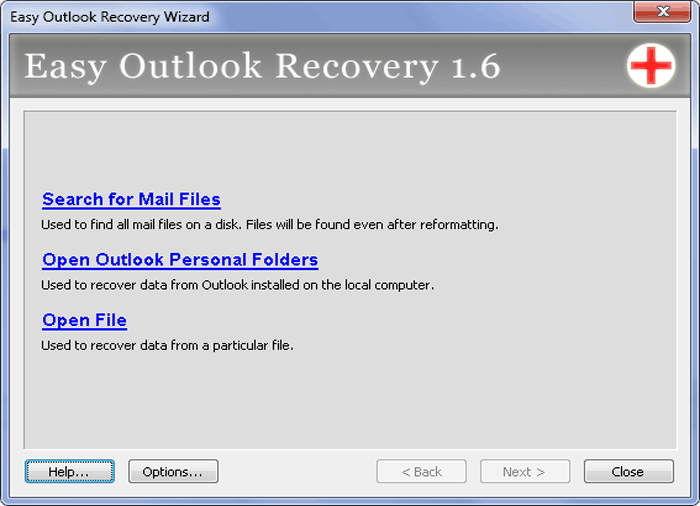 The question of how to repair Outlook can arise unexpectedly but the answer is here, the trial version can be downloaded anytime and the preview will show the probability of successful recovery. runs on Windows 2000, XP, Server 2003, Vista, Server 2008, 7, 8, 10 and Server 2012. Thank GOD! You had been my best saviour. I recenlty lost hold of all my emails in MS Outlook. While I was desperate looking for an option i come across your product. It was absolute cake walk for me to go through the same and NOW I have recovered all my emails–without loosing even 1 single message for a period of 3 complete years. My sincere COMPLIMENTS to MunSoft Team for putting up such a robust product. Otherwise your product–email recovery–is out of box and i would definitley rate it 10 in a scale of 10.